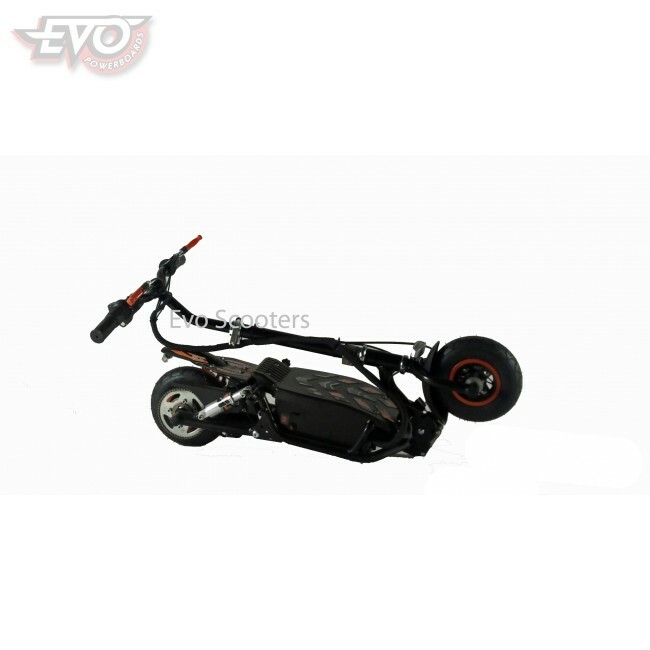 EvoMotion Powerboards presents the super cool, compact, light EVO 300SX Lithium electric scooter with LED lights front and rear. This lithium-powered, foldable, twist-and-go, 300W EVO electric scooter in black with removable seat is supplied as standard with a 24V 10Ah LiFePo4 battery. 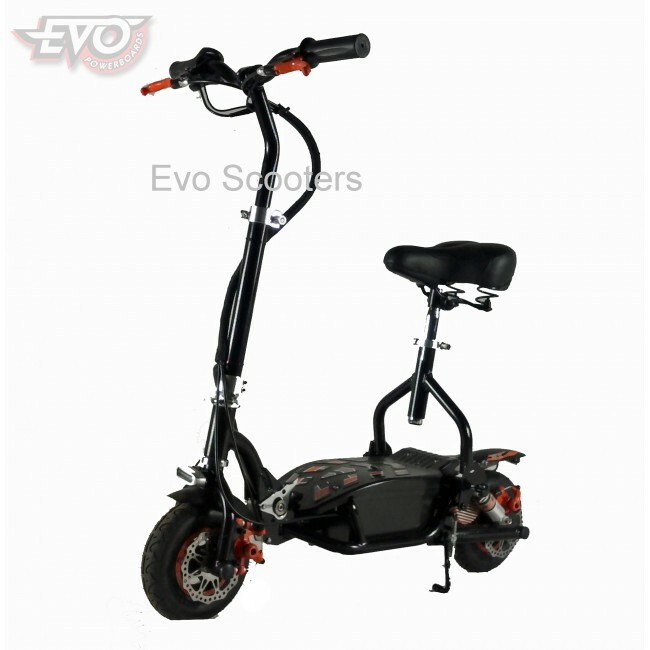 This genuine EVO brand electric scooter comes with a very powerful genuine 300W brushless motor and is finished in edgy black with pneumatic tyres. 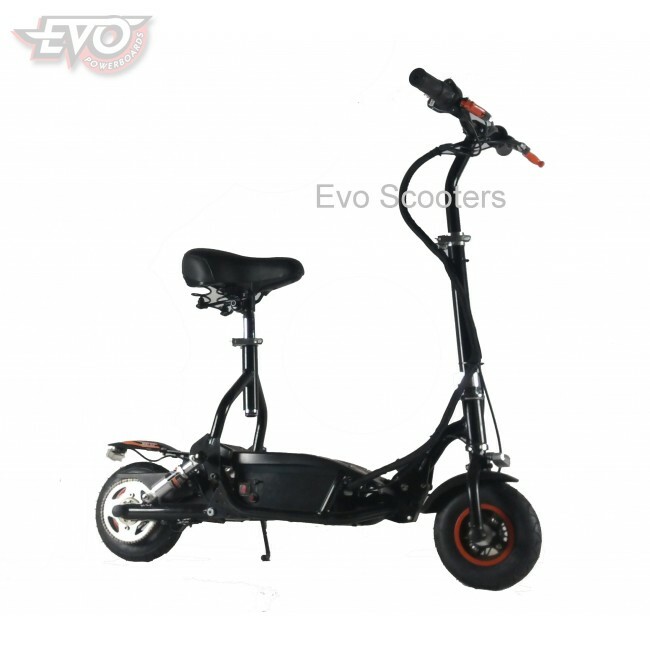 With its leading-edge styling, twin-tube compact frame, front and rear mudguards and cool contoured deck, it really is an innovatively designed scooter. It's also no slacker when it comes to performance either, being capable of up to 23 km/h and up to 28 km per charge depending on load and terrain. 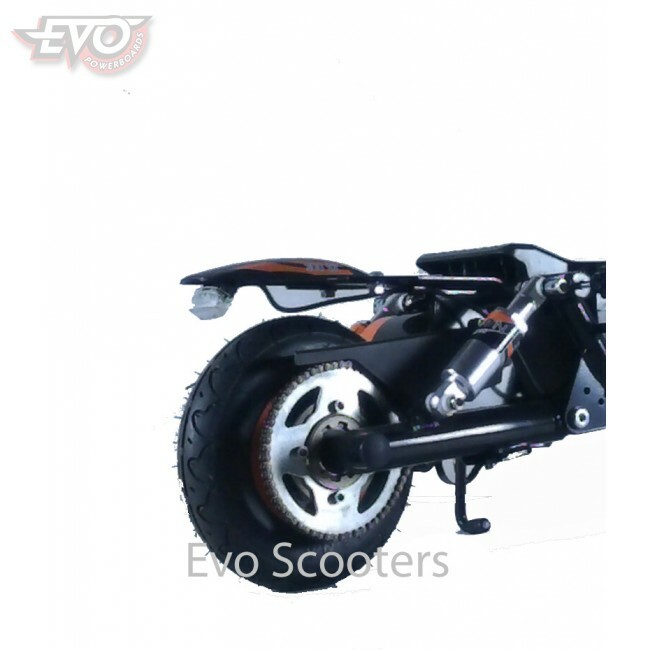 The high-specification of this top-of-the range scooter is complemented by disk brakes, pneumatic tyres, twin-tube front suspension for greater stability, cool aluminium rear shock absorber, retractable kick stand and quick-release seat post. Being light and compact and with its one-touch folding system, the scooter easily folds for transport and storage. Despite a net weight of only 17.5Kg the 300SX Lithium is capable of a loading up to 80kg. This scooter is tough being built around a high-tensile steel frame and boasting a durable chain and sprocket drive system. Some assembly is required including installation of handlebars. Prior to use the battery must be charged and tyre pressures etc. checked as detailed in the manual.